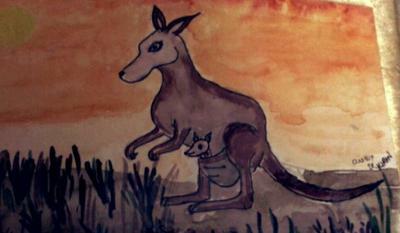 Kangaroo mother n child depicts the mothers love. Nice pic..shows love n caring of mother. Thanks so much .this painting i have done in my school days.